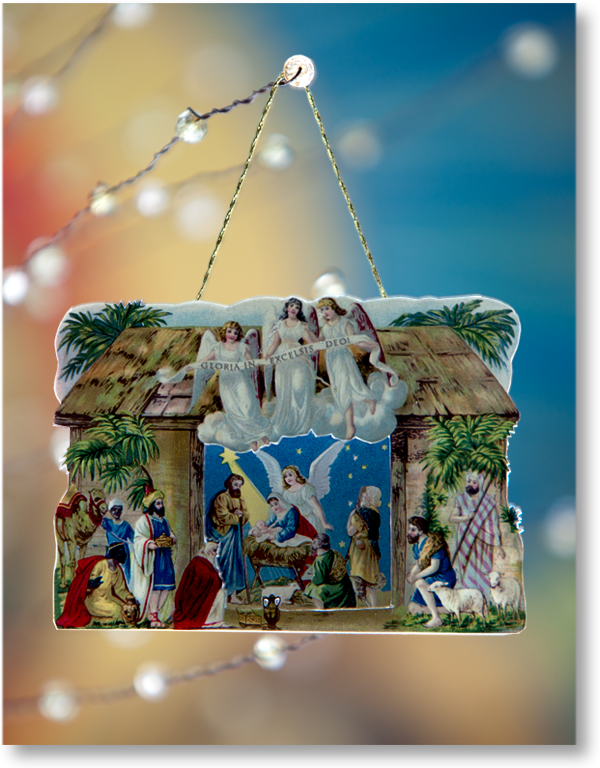 This lightweight miniature nativity looks great on a tree — or favorite plant. The Three Angels Miniature Nativity decorates the Miniature Crèche Tree. It's a joy working with this quality printed sheet. 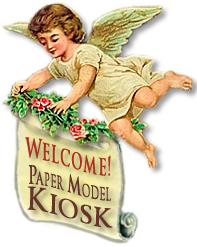 Ink-jet printed using fade-resistant inks on professional media paper,the 8.5 x 11 Three Angels Miniature Nativity Sheetis perfect for card modeling. And after you assemble your new miniature, the accompanied PDF Premium Download will enable you to print it again on letter-size paper whenever you wish. The Three Angels Miniature Nativity weighs just about nothing, perfect for the delicate branches of my miniature Crèche Tree — or the branches of a favorite plant. A quality-printed 8.5 x 11 sheet and a PDF file that includes complete, step-by-step, simple instructions. Just two layers make assembly simple. Size: 3.95 x 2.5 x 0.75 inches. A one-layer version of this nativity is being sold elsewhere for $45.